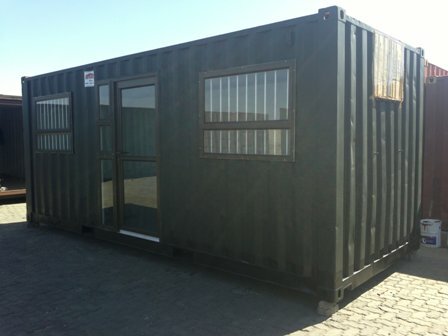 New and used Shipping Containers for Sale. 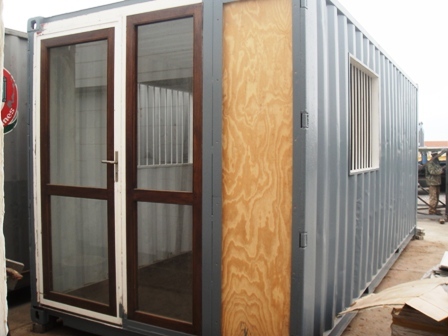 Ideal for Storage requirements. 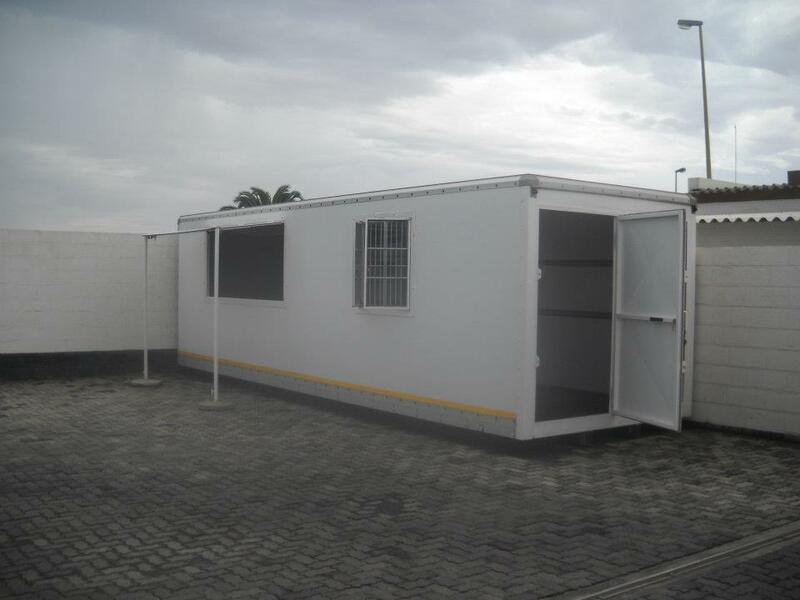 Our Clients include private individuals, construction companies,hospitals, removal companies, self-storage companies, etc. 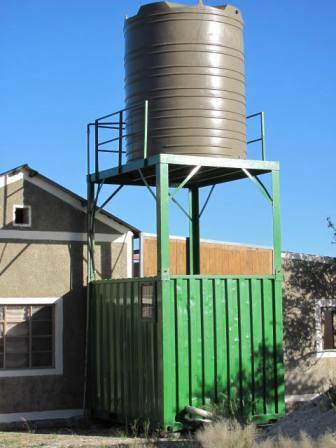 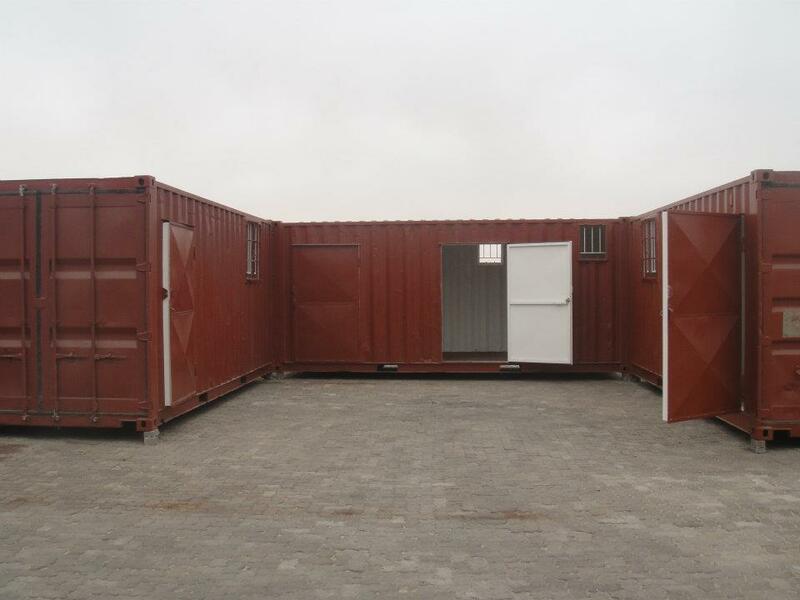 We offer containers in different sizes from default sizes (3m, 6m, 12m) to custom-made sizes as requested. 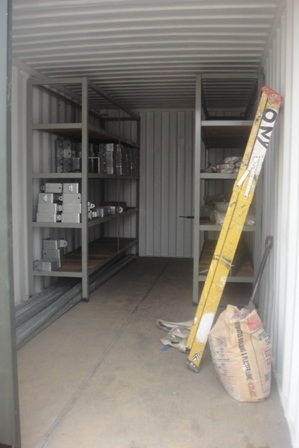 Need temporary storage space? 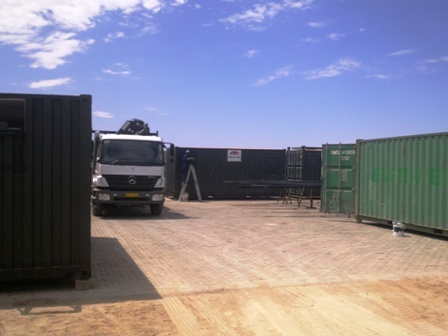 We can provide you with 6m or 12m storage containers! 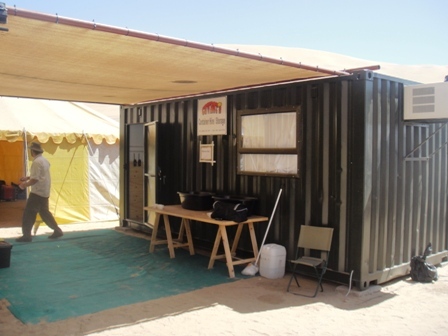 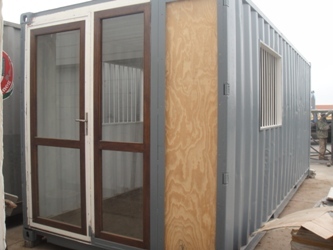 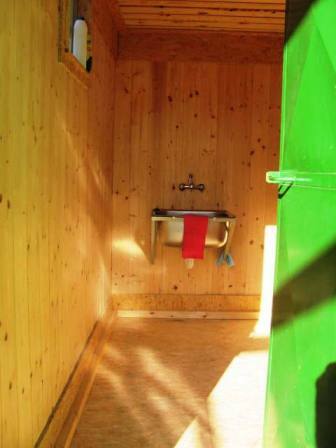 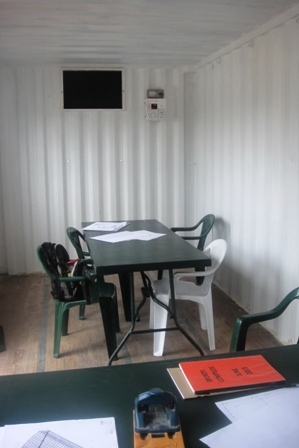 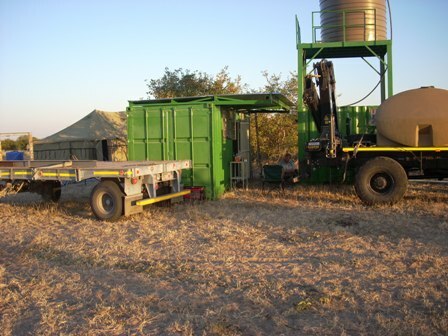 Our containers can be hired (long / short term) for construction sites, personal use, accommodation units, etc. 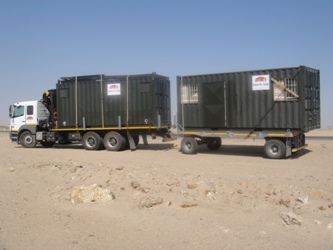 All units are delivered to your site by experienced and certified drivers. 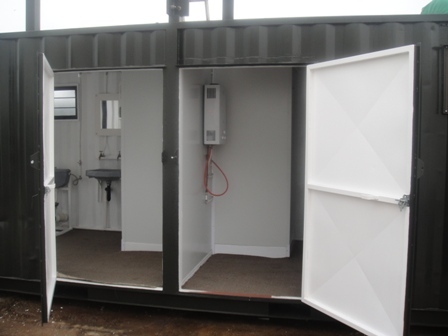 We only require safe and suitable access for delivery and collection. 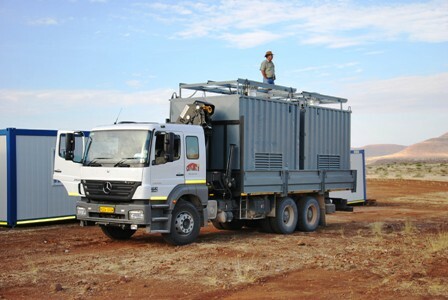 Submit or E-Mail your Rental Information Sheet to our office (swakop@cowboys.com.na) in order for us to complete your contract. 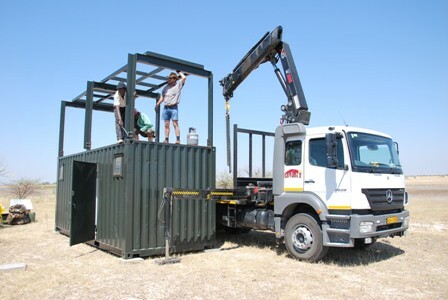 We offer a wide range of possibilities to build containers exactly to your specifications at a very competitive price. Our containers are built to the highest quality and international standards. 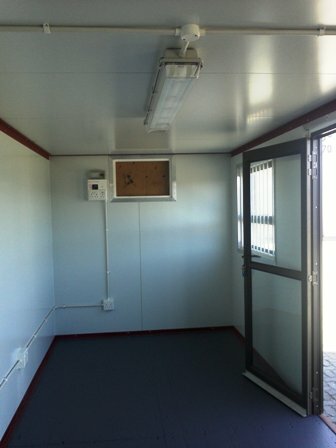 insulated panels, smooth surfacing, paint, etc. 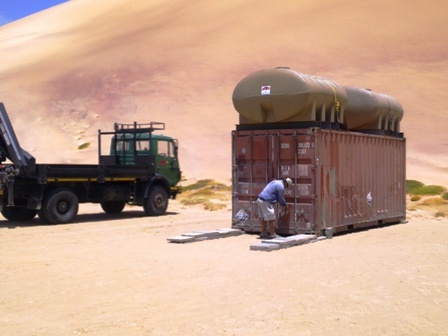 carrying up to 2000 liter filled water tanks. 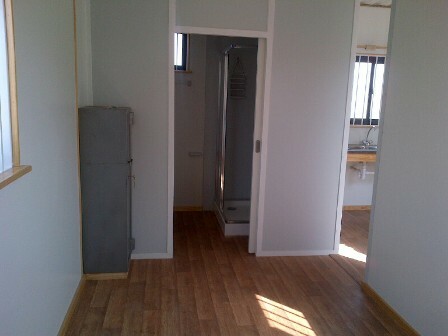 Wide range of secured doors and windows, precisely fitted to suit your needs! 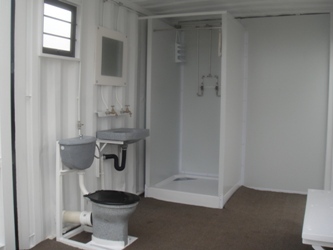 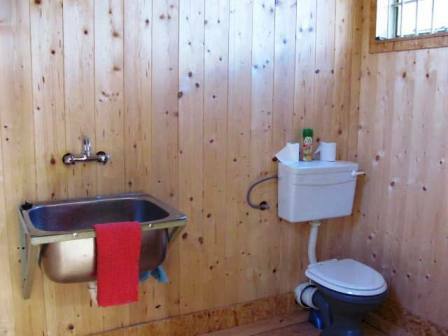 Easy plumbing and electronic connections, Fittings, Toilets, Showers, Air Conditioners, etc. 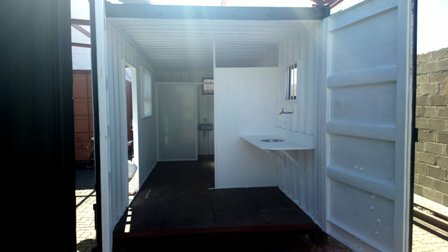 Secure, burglar bars, paint, air conditioners, extensions, etc.